Doing snow sports is really way different from sports carried on plain lands. The first and foremost thing that is important is choosing the right equipment, clothing and shoes. 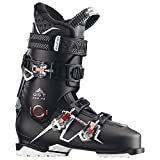 And if you are into skiing, then ski boots are of utmost necessity. It helps you to obtain grip in fresh snow and show-off your skills like a pro. A lot of advanced technologies are incorporated in it for keeping your foot warm and preventing from coming in contact with the snow. However, the diversity in the market has kept the customers in a loophole of what’s right and what’s wrong. 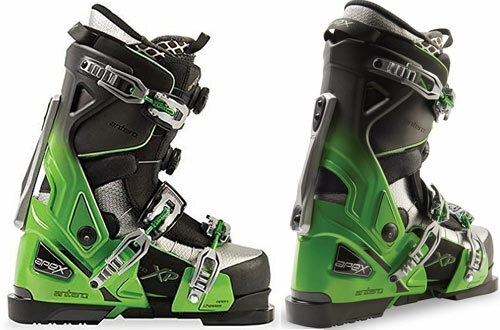 So, the ski boots review is going to help you judge the product and settle for the best. 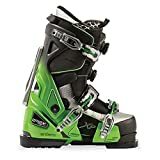 Traditional ski boots have a great flaw which leads to several unnecessary injuries and can be quite dangerous at times. 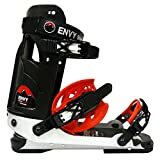 When you are done with skiing and are walking to the parking lot in those boots it can be The Envy boot frame easily solves that problem. It is made from high-quality aluminium that keeps the frame lightweight and easy to manoeuvre in high-speed situations. 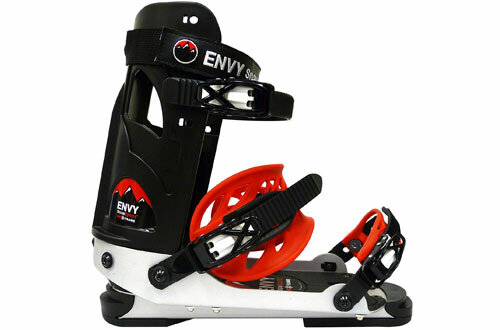 You can wear your normal snowboarding shoes and just have the Envi frame over them to convert into boots for skiing. As a matter of fact, this gives you a lot of advantages and allows participating in snowboarding and skiing. Furthermore, quick detachment and attachment allow you to readily switch and perform any activity without any hindrance. The frame has three straps along with hard enclosures to keep snowboarding shoes stuck to the frame. Thus eliminate any chances of slip-ups. Compatible with snowboard shoes that have a single BOA style. Double BOA is incompatible with this frame. 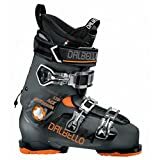 Length is adjustable to fit snowboarding boots of four different sizes. Promotes a unisex design that easily fits the legs of men and women. 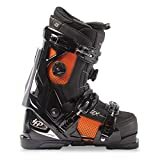 Unlike traditional boots for skiing which don’t provide versatility or customisations, the Apex Boots will give you a whole different outlook on skiing. The HP model has a chassis which are separated to give you mountain boots for rough terrain. It doesn’t matter if you are an experienced skier or just an amateur; the Apex HP has you covered. You get an inner liner which you can customize according to your needs with the special heat moulding feature. So you get cosiness and warmth from the liner and the support boot to keep you comfortable in cold conditions. 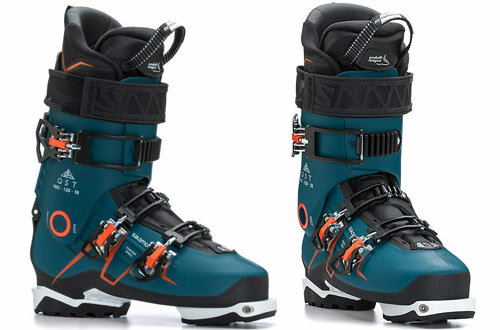 Due to its neoprene ski boot material, it is also stretchable and will fit you perfectly. You also get the game-changing BOA® reel and lacing system. It certainly uses high-quality stainless steel cable instead of the inferior products that use some kind of fabric. These two advanced technologies give you precise control since your foot is firmly locked with the heel pocket. So with this closure system, you get the best fit without having a heavy boot to weigh you down. Comes in various sizes for everyone. 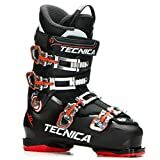 If you are skiing for a considerable time, you know about the problem with rental ski boots. They might be good for someone who never went on the snow before. However, really bad for someone who has reached intermediate or at least the novice level. 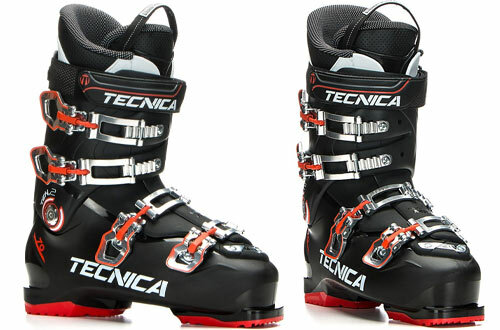 Tecnica has created a pair of boots that will suit the experienced skier on you. And it even helps you achieve rapid improvements in your skill set. At the boot instep, you get soft plastic which makes it easier to slide in or take out feet. The liners have four layer constructions. Furthermore, it is made from materials with varying levels of density and thickness. This makes it suitable for accommodating any and all types of feet no matter what their shape or size. The boot comes at an entry-level price but you are not limited to entry-level features only. I-Rebound system is one of the flagship features of this boot. It uses a metal shaft to connect the upper cuff and the shell’s lower part. This gives you an elastic rebound whenever you are changing age and helps you with forwarding flexing. The closure system is even better on these boots. You have four small buckles that do their job nicely, are adjustable and are complemented by the Velcro strap. Combination of red accents on the black body looks amazing. Features an UltraFit HVL liner. 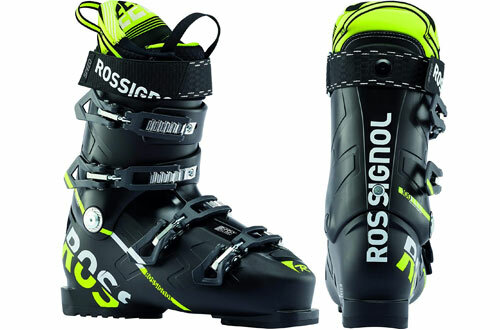 Rossignol has further improved its AllSpeed line-up with this model. It certainly gives you a much more relaxed fit so that you don’t have cramped feet after skiing. The product also features removable soles that are made from durable PU material. So you can easily clean them up after a thrilling ski session. 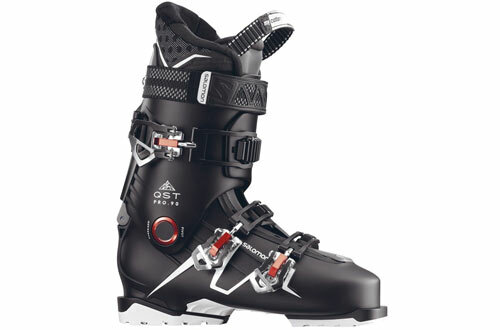 Moreover, it offers ski boot flex adjustment that aids in attaining supreme comfort as per needs. Also, the GRIPWALK+ helps you to balance in the snow without tipping or falling down. An award-winning boot having internal last of 104mm, make the right pick always. Easier entry and exit due to the softer plastic insert. Revolutionary Sensor Matrix Shell which allows you high power at low body weight. 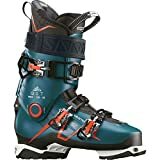 This boot’s back spine has a switch which lets you change from ski to hiking mode and vice versa with just a flick. Four key zones of the shell which cause most discomfort during your skiing have extra room to solve that issue. 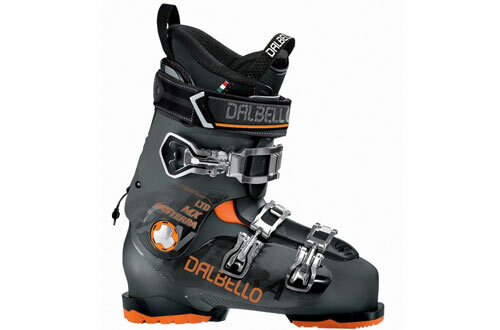 You will thank your boots after long skiing hours due to its plush and adequately padded insulation. Appropriate for beginners as well as intermediates, it has a 3-buckle design. Plus, in order to release the upper calf, you just need to flip the back switch. Also, it allows free-flexing of your foot. Thus, you can get up or down the slopes without any hindrances. Has a flex index of 80. Premium aluminium buckles and closure that provide unrivalled safety. Your downhill performance gets a significant boost with the Twinframe 2 design on the Saloman QST Pro. This kind of design allows you to flex more dynamically rebound is improved. The 24 mm oversized pivot takes this to a whole new level with its peerless transmission that you have never felt before. Having a 360-degrees custom ski boot shell, the woolmetal insulation keeps you extra warm all the time. Nevertheless, the foot top contains soft plastic that eases up the boot wearing process. It even has a 35mm strap and a 70 flex that is pretty soft. Endofit design hugs your feet perfectly to give you an ergonomic fit. Motion flex gives you a wide motion range of 40-degrees, phenomenally high at this price point. The unique construction style and choice of materials make getting on and out of these boots an effort-free task. It has an oversized pivot that results in smoother power transmission to your skis. Perfect for every sort of foot shape, it will easily fit narrow as well as medium leg shapes. Furthermore, it features a 3D pro liner for obtaining the desired fit and a range of motion of 40-degrees. Having an actual flex of 120, it also comes with an oversized pivot. They also give you a warranty period of one year to further sweeten the deal. Black and aqua blue colour-tone look magnificent on these boots. Has a width of 104mm to 106mm. 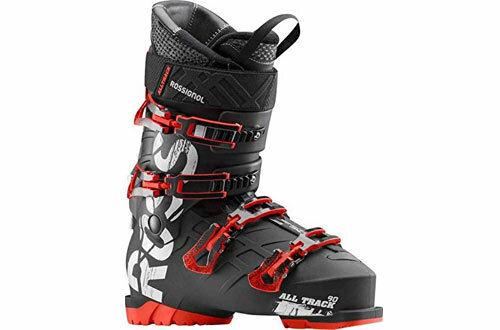 Rossignol really kept your comfort and safety as its first priority while designing these boots. The shell is made of strong and sturdy polyurethane which makes it light while retaining a bit of flexibility. You also get cuffs made of polyolefin. This certainly helps to block most unwanted elements like snow, dirt and cold air out and gives a soft feeling. As a matter of fact, a machine-made PU acts as the liner and it allows 4 micro-adjustments. Plus, the liner is Optisesnor T4 build and the support, as well as padding, is exclusive. Finally, Sensor Grid Technology features a grid-structure for maximizing stability. Lightweight, weighing at around 13 pounds. Adjustment teeth have 3 different positions. The buckle is made from durable aluminium. 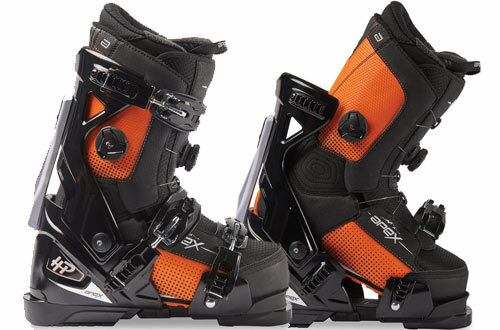 This pair of ski boot from Apex is one of their premium flagship products. It has one of the highest tech innovations integrated for pros. The Antero has a chassis made from Nanolite carbon compound. This makes the boot at least one-fifth lighter than its previous models without losing any strength. You get the patented A-flex suspension which makes it much more adaptable with 3 different flex settings to play with. While other manufacturers like to cut corners, Apex doesn’t believe in that. So you get the famous Thinsulate insulation which is known for its reliability and high warmth in the harshest and chilling weather. The insole used has two layers of density that support you well and great for long hours of use. Your heels will thank you for these and you wouldn’t get easily fatigued. But the most amazing feature about these boots is probably the Double Stack BOA® design. It gives you superior closure like never before. And has arguably one of the best strap up and lacing system in the market. Flex settings are rated as 115/125/135. For forwarding lean, you have four positions. It is aligned in both ways. 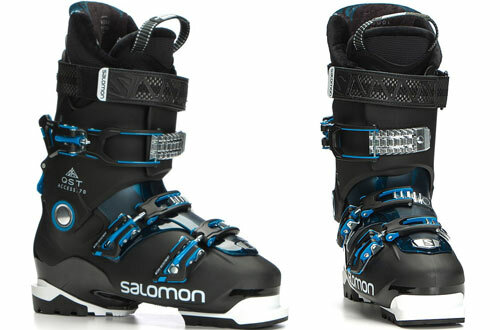 Salomon has implemented a revolutionary technology that makes it one of the best ski boots in its segment. The Endofit Tongue design makes this boot readily adapt to your feet movement. And lets you have an easier time walking over tough and unforgiving terrain. It also has a wide base which makes walking over thick layers of snow an effortless task. In fact, it has a liner which is anatomically designed to hug your feet in the most natural way. And give you the warmth that is needed in harsh frigid temperatures. The gusset is also waterproof. So even if there is melting snow. nothing would be able to invade the boots and come into contact with your feet. This feature is really life-saving in certain situations. Especially when your body temperature can drastically decrease if cold water comes into contact with your feet. You don’t need to worry about its longevity either. It can flex quite well or won’t get damaged even after you take rough turns and drags. Buckles are made from aluminium, so they are light yet strong. It features Surelock mechanism which allows high adjustability without compromising safety. Keep your skiing game strong. The boots will not betray you when you desperately need the help of your skills.